← The Red Phone Box…Going Green? 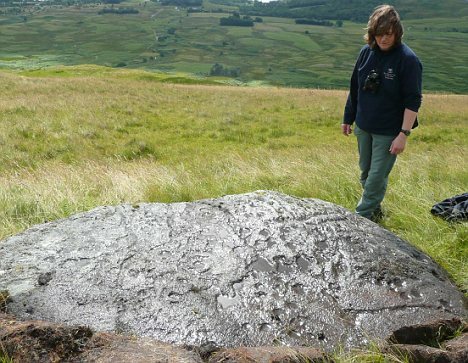 In 2009 some ancient stone carvings were discovered by amateur archaeologist George Currie on the mountain of Ben Lawers in the Scottish Highlands. George uncovered the prehistoric artwork to reveal a series of depressions known as cup and ring marks. 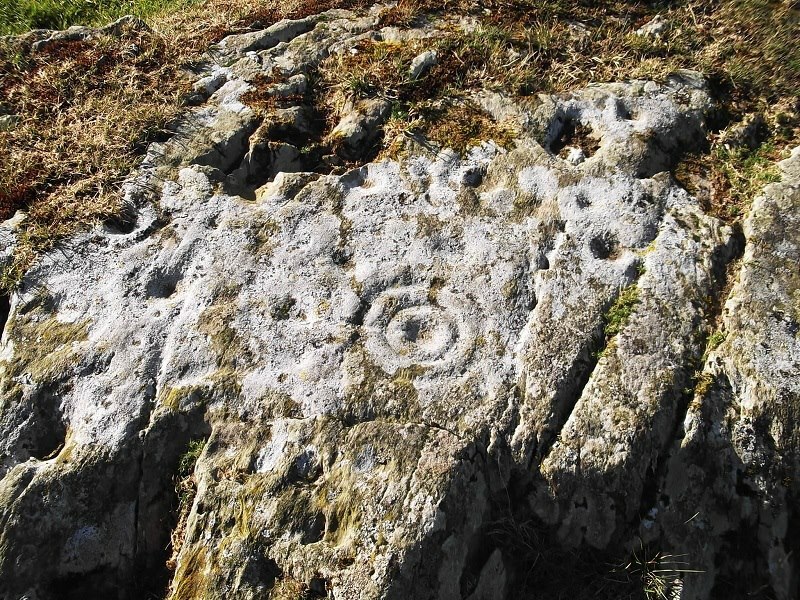 This form of stone carving had been found in the area previously but this particular rock was unusual in that it contained a much greater concentration of the markings. In total there are 90 cup marks and four cup and ring marks. There are also a number of linear grooves and it is possible to make out the individual blows of the craftsman’s stone pick. The find was made on land in the care of the National Trust for Scotland and was greeted as an exciting discovery. Drumtroddan Cup and Rings are a good deal closer to home, being between Port William and Whithorn in Dumfries and Galloway. 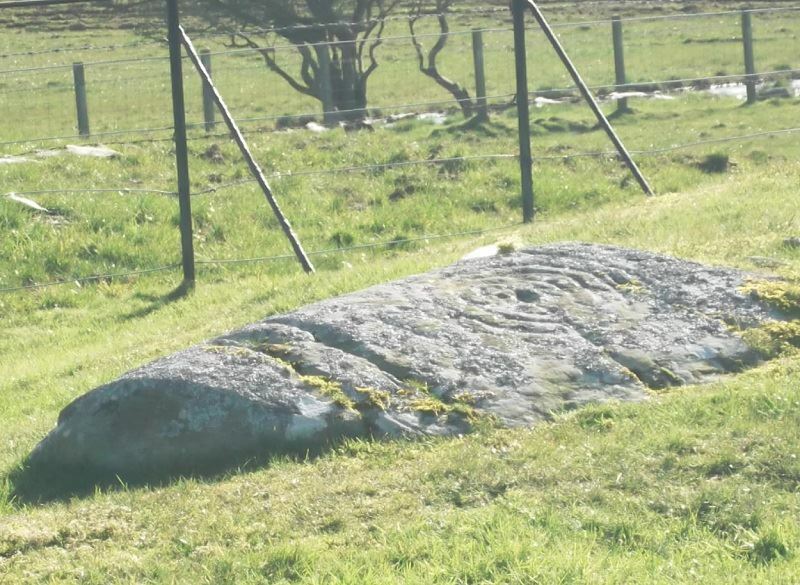 Only a short distance away is the site of the Drumtroddan Standing Stones, although only one of the three remains standing. It is believed that the carvings date back to the Bronze Age whilst the stones have been dated to between 2,000 and 1,000 B.C. It has been suggested that the stones line up with the midsummer sunrise in the northwest and the midwinter sunset in the south west. The cup and ring marks are accessed through a farmstead although this can be very tricky at certain times of the year. You would be well advised to time your visit during a dry spell so that you can safely navigate the surrounding fields. If possible, it is worth visiting when the sun is low in the sky as this helps to accentuate the markings. There are at least 84 cup and ring marks with a strong possibility that more exist in the area. The number of rings varies from one to six with some forming complete circles. Several also reveal a radial groove from the centre of the circle. There are over 65 cup marks, some with rings and some without. There is no real purpose served by the Cup and ring marks and they are generally accepted to be a prehistoric art form. They have been found mainly in Northern England, Scotland, Ireland and Mediterranean Europe. Similar designs have also found as far afield as Mexico, Brazil, Greece and India. The oldest cup marks so far recorded are those in the Palaeolithic cave shelter site of Daraki-Chattan. 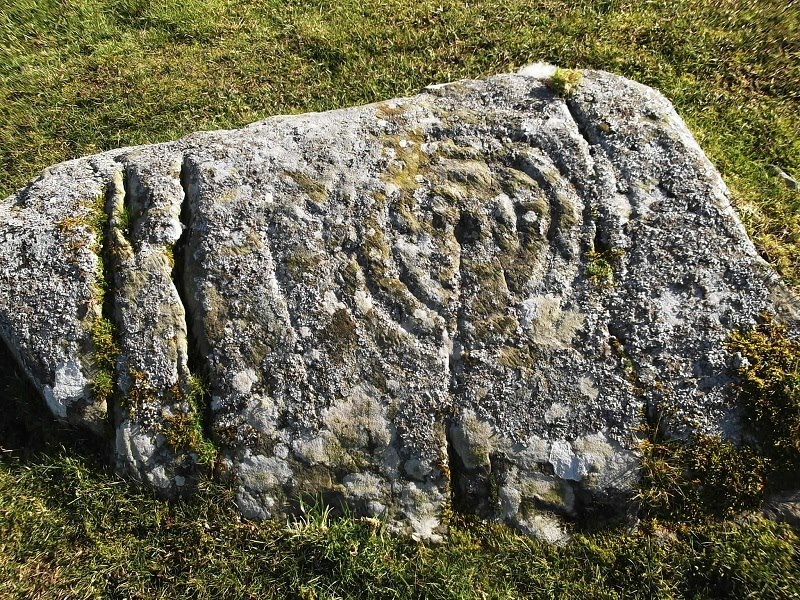 This entry was posted in Uncategorized and tagged Cup and Rings, Drumtroddan, standing stones, Stone carving. Bookmark the permalink.